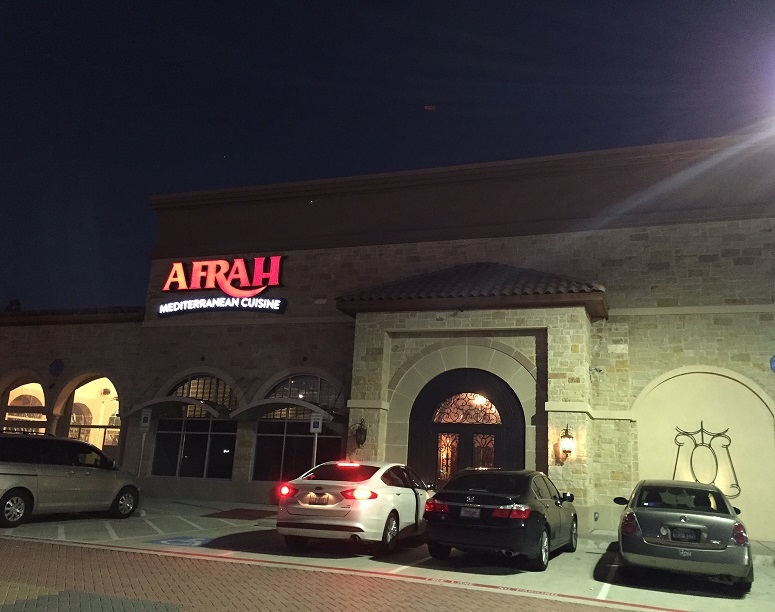 Afrah Mediterranean Cuisine, located in both Richardson and Irving, offers culinary delights from the Mediterranean region, which is full of delicious food with health benefits. I stopped by the Richardson location for lunch, which just remodeled and looks beautiful! The family-owneded restaurant has been open in DFW since 2003. They offer a lunch buffet during on weekdays and table service for dinner and on weekends. 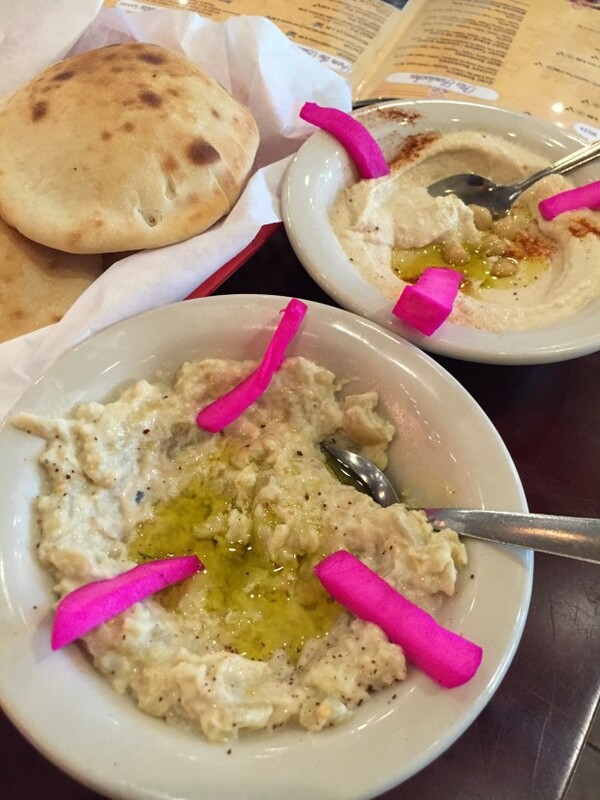 Customers will see plenty of traditional Mediterranean items on the menu, ranging from protein dishes (such as kebobs), a variety of dips, salads, and of course, dessert and Hookah. I ordered the Afrah Sampler to taste a bit of a few popular appetizers from the menu. I highly suggest grabbing the sampler since it’s perfect for sharing with your dining companions – there’s a lot of items to go around! 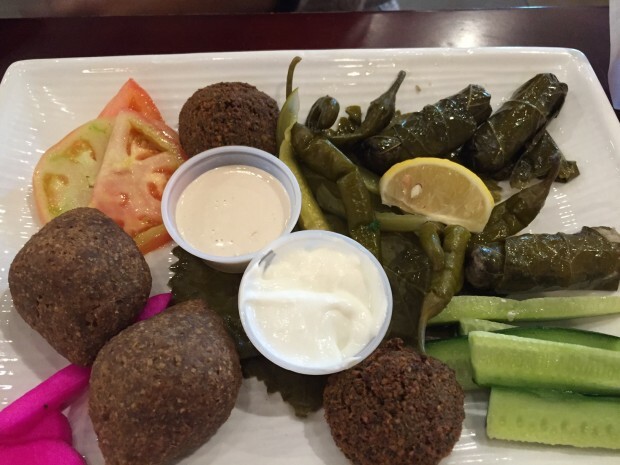 From left to right we had: Falafel (a fried and breaded ball of chickpeas and vegetables), Grape Leaves (rice, onions, tomatoes and parsley tossed in lemon juice and wrapped in a delicate leaf that you can certainly eat), and bowls of Hummus and Baba Ghannouj (with eggplant). The homemade Pita bread is puffy and perfect for pairing with the dips. You can also order the dips separately. Another dip I suggest ordering is the one with yogurt and cucumber; it’s light and makes a tasty filling for your Pita bread. 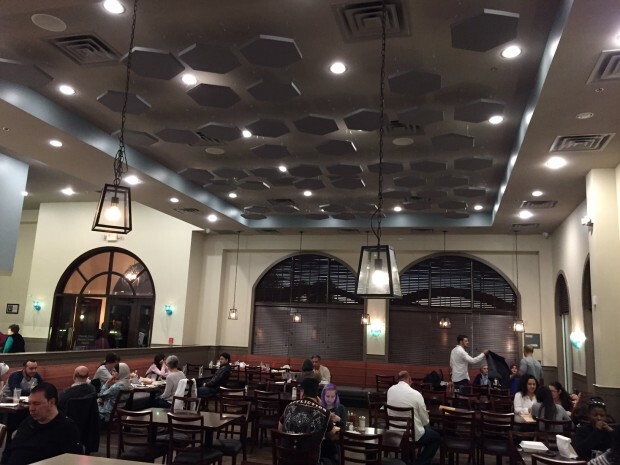 Guests can choose from a slew of entrees including Gyros and other sandwiches, beef and lamb kebob plates, Mediterranean pizza and various chicken and salmon dishes. 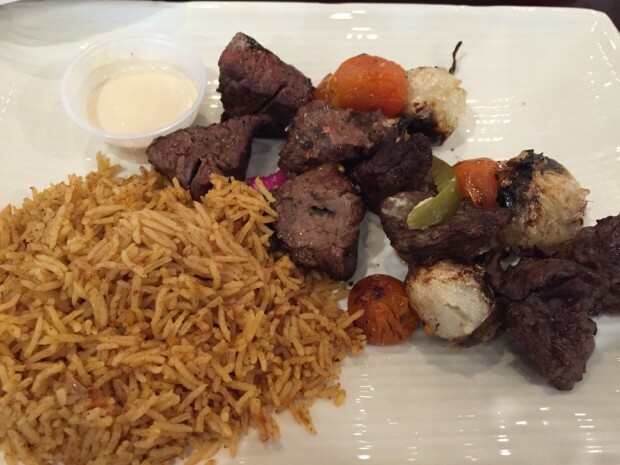 The beef kabob plate shown below goes for $19.99 and comes with your choice of two sides. I opted for Basmatic rice and more hummus. (I just can’t stay away!). The meat is tender and flavorful, really bringing out the true taste from the region. There is plenty more food on the menu, so come in and try it out! The lunch buffet is just $12.99, and the restaurant offers catering service, too. 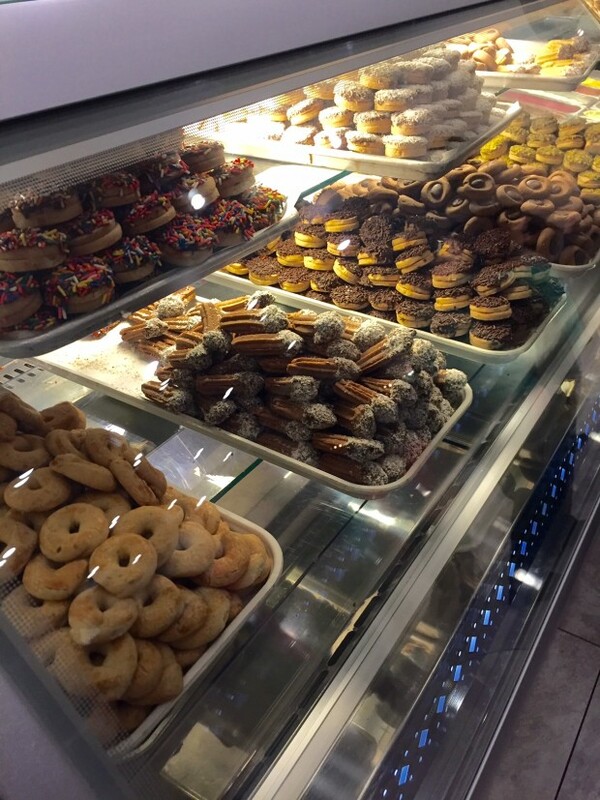 You’ll find several Mediterranean desserts on the menu, as well as cakes, tons of gelato flavors and other to-go bakery treats. 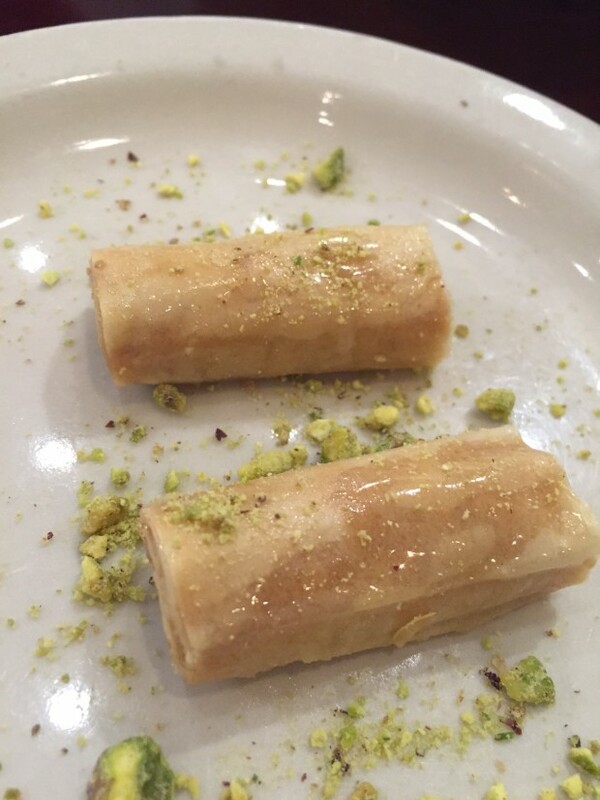 I ordered the homemade Baklava with cashews; it has the right amount of sweetness and layers of flavor. A regular order of this dessert comes with four pieces – great for sharing! 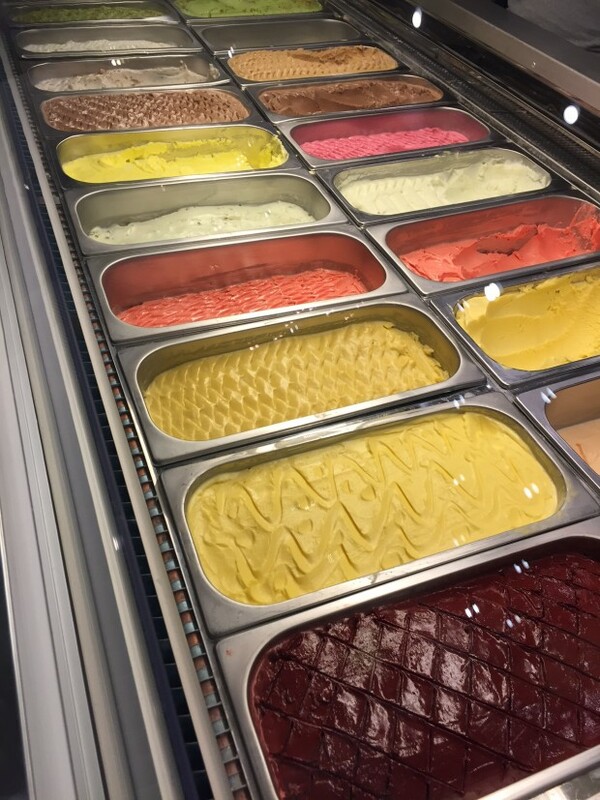 Choose from a variety of Gelato flavors. Sure, this is more on the Italian side, but it tastes great! A small cup is only $1.99. Pair your dessert with some Arabic coffee while you’re at it! 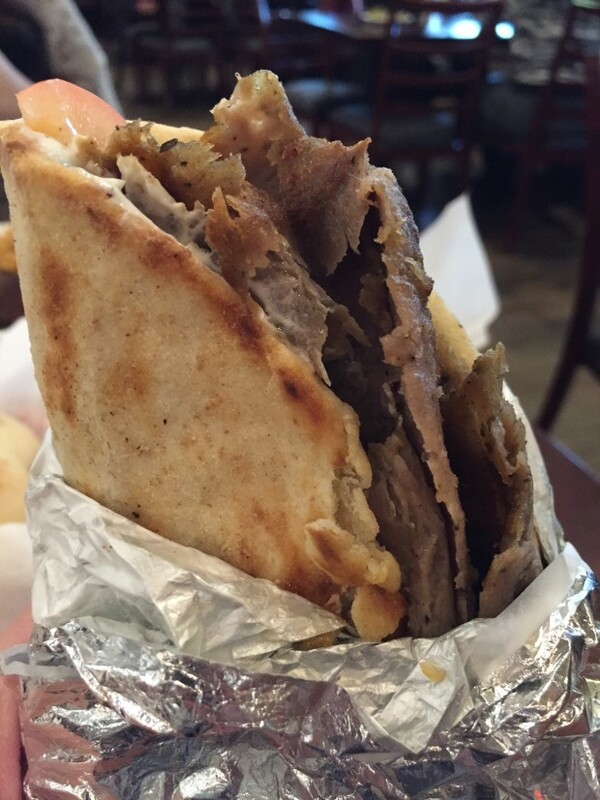 So if you’re looking for fresh and homemade Mediterranean food in town, stop by either Afrah location for an amazing experience. You’ll be glad you did! CHICKEN IS MY FAMILYS FAVORITE – I PERFER THE VEGETERIAN MEALS !